This is such an exciting and important project, it belongs right here on the front page. 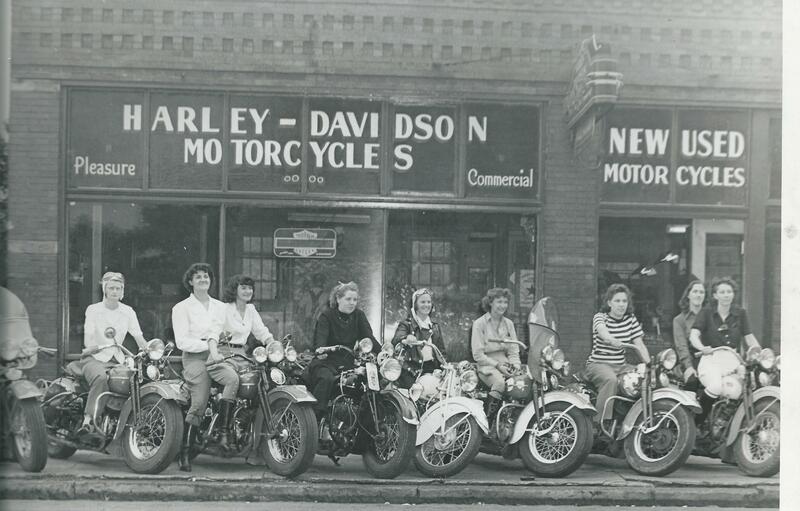 A number of years ago, a man named Bill Mason found out that I was researching and writing about women and motorcycles. He had been a friend of Louise Scherbyn, a female motorcyclist pioneer who founded Women’s International Motorcycle Association (WIMA) in the early 1950s. Louise gave Bill her extensive photo collection, and Bill kindly offered more than half of them to me. I didn’t know exactly what I would do with them, but I knew I would figure out a way to get them into the world. Have you ever felt “in a fog” about your writing? Linda Back McKay can help you bring your writing to the next level. As a seasoned teaching artist, Linda works with writers and poets of all ages, in person and online. She leads classes at the Loft Literary Center at Open Book in Minneapolis, MN and elsewhere. Linda offers one-on-one coaching and editing for poetry and prose writers at any stage. She edits both manuscripts and individual pieces. She is available as a speaker and discussion facilitator and can arrange readings, book signings, interviews, book club and other appearances. Her books include Out Of The Shadows: Stories of Adoption and Reunion (nonfiction, 2012 North Star Press), The Next Best Thing (poetry, 2011, Nodin Press), The Cockeyed Precision of Time (poetry, 2007, White Space Press), Ride That Full Tilt Boogie (poetry, 2001, North Star Press) and Shadow Mothers: Stories of Adoption and Reunion (nonfiction, 1998, North Star Press).